Illness plays a significant role in early childhood absences. Help families understand when to send a child to school or keep her home and manage chronic conditions. 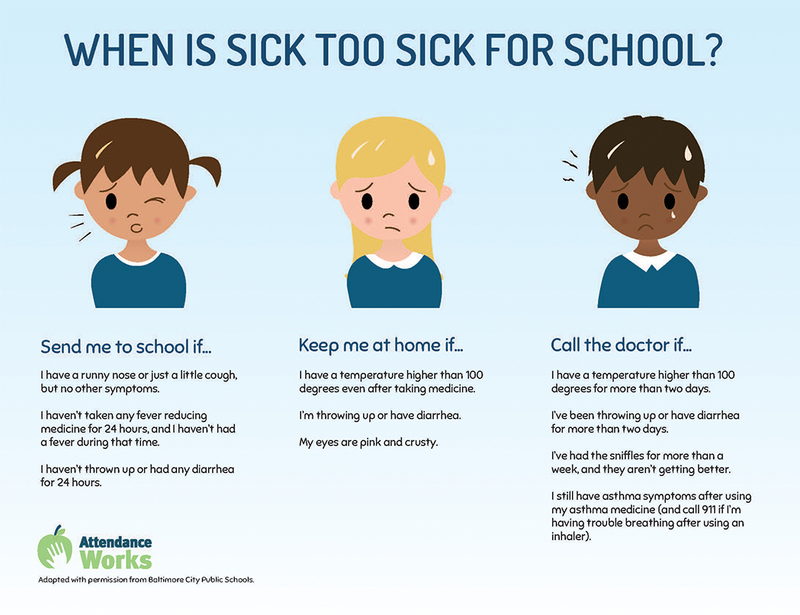 When illness-related absences begin to add up, you can bring it to the attention of others, such as the school's family outreach or health staff members. Families often don’t understand when their child is too sick for school, and when they can safely send them in. This handout provides some clarity. Organizations wishing to alter the language on the How Sick is Too Sick flyer to reflect local district policies are allowed to do so, but they must add their own logo and the statement "Used with permission from Attendance Works. The language has been adapted to reflect local policies."